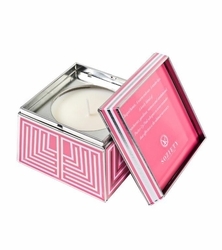 Votivo's Soziety captures the picture-perfect moments where the essence of all you aspire to be suddenly appears in the palm of your hand. Soziety's shimmering surface reflects that which is utterly gorgeous. Truly remarkable, and even a bit outrageous. Clasped hands, a warm embrace, a tender kiss. A lovely blend of strawberries, gardenia, mimosa, and sandalwood. Pucker Up Pink whispers a sweet reminder that affection is the ultimate accessory. Legendary romance, unbreakable love, destiny fulfilled. 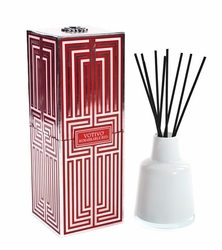 Earthy green, tart citrus, cassis, and fruity musk unite in the perfection of Remarkable Red. Only extraordinary will do.